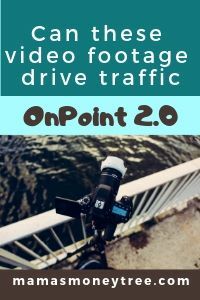 What is OnPoint 2.0 that promises traffic-driving, world-class video with 100% unique footage in 3 simple steps? Can it instantly make the best video you have ever made? You have landed at the right place in checking out reviews of OnPoint 2.0. As I have no association with this product, you can be assured of my honest, unbiased, and in-depth review of this latest video maker. What technology is used in this video maker? Will you have the technical skills to pull this off? Even then, how will it possibly help to drive traffic to your business? We will answer these questions and more, as we take OnPoint 2.0 apart, to look at its inner workings, and see if it can bring you more high quality traffic. OnPoint 2.0 gives you video templates, made by professionals that you can use in your ads or any form of video marketing, video content, etc. It is integrated with PowerPoint, and comes with music tracks, so you do not need complicated video softwares to edit them. The biggest issue I see here is duplication of the video footage. As more people start buying and using OnPoint 2.0, it loses its authenticity, and you lose your credibility. Their selling point that you are getting unique video footage busts itself. Like they say it themselves, what use are videos without traffic? The bonus that promises free unlimited traffic with a click of the mouse will never deliver, because free traffic doesn’t work like that. Read on for the detailed review of OnPoint 2.0, and why I do not recommend it. Let’s find out what is OnPoint 2.0 by first looking at the information presented in its sales video and landing page. Within seconds and in 3 simple steps, you can make a video like it was created in a Hollywood studio. The 100% unique world-class footage and animations are made by professional videographers, so you will not find these anywhere else. Its animated text is fully editable, your logo can be added to bring in the touch of your own brand, and you can personalise your audio with cutting edge music tracks. But what use are videos without traffic (I’m glad the product creator recognises this, so I do not have to argue my point)? There you have it, a product that manages to bust itself. If you do not have a good amount of traffic coming to your website or offers in the first place, then this is not going to help with your sales at all. This software basically works on PowerPoint, that is why you do not have to be technically savvy in order to use it. Among the 20 niches available in the Personal Plan, you may not find the niche that suits your business needs. Examples include golf, horror, jewellery, makeup, martial arts, and so on. I find it rather limiting in this sense. Apart from the regular video footage, they also have video stories, of exactly the same footage, but formatted for Instagram stories. That’s basically everything that you will be getting. There are some major issues I can foresee. You will run out of video footage in your niche pretty quickly. That is, provided you can even find your niche inside there in the first place. Just from this reason, I say OnPoint is not worth it. Can you imagine thousands of people buying into this product? Then whatever so-called professional footage that you use is going to lose credibility seriously, as people everywhere start to use the same stuff in their ads, video content, etc. So it doesn’t matter that they are taken by professional videographers, because they are not unique anymore, not much different from using stock footage. Are you already getting good traffic? The single most important factor to the success of any online business is traffic. If you are not getting a good amount of quality traffic to your offers, no professional video is going to help, because you have to tackle the traffic issue head on, instead of keep looking for ways to spruce up stuff. Let me now show you the foolproof way to get traffic. Entirely for free. Oh by the way, you can try out the bonus software included within OnPoint 2.0 that promises unlimited free traffic with one click of the mouse. If it works, head over to the comments section below to let me know, and I will take back my word about how it will never work. If there is free traffic, why do people still want to pay for their traffic? The answer is simple. Because there is a trade off. You either pay for traffic, or you work hard to get it for free. Even with paid traffic, there is no guarantee, because it takes lots of money and a steep learning curve, to master any form of paid traffic. It is in fact a very risky thing. I choose to work for free traffic, because this work that I put in today will reap huge rewards for the future of my online business, as at the same time I am building a rock solid foundation for my business. The free traffic I get is called organic traffic. It is from search engines. This is the best kind of traffic, because by virtue of its source, it is the most highly targeted traffic you can ever get. People are actively searching for your offers, that is how they will find you in the first place. So it would be much easier to convert this traffic into buyers, as they already have strong buyer intent. It just means more sales, and more earnings for you. The creator of OnPoint 2.0 is standing in front of his product, and that tells us there is some level of credibility and accountability. Though limited in niches and in actual numbers, you do get some professional video footage. Due to the limited numbers, I am not even sure whether you can find relevant video footage that you like, to be used in your marketing or content. Exact copies of the video footage will appear all over the internet, and you will lose your authenticity. This will not help whatever state of traffic that you are currently getting. Just like any other product created to dig deep into your pocket, OnPoint 2.0 is no exception. Once you purchase the front end product and before you even get to try it out, you will be bombarded with these pricey upsells. Upsell 1: $17/month or $77/year – OnPoint Community, to get a new niche every month, plus extra footage, animation, and music. Upsell 2: $67 – OnPoint Master Class, training on how to market these videos for affiliate products, launches, and local businesses. Also how to use these videos for free and paid YouTube, Instagram and FaceBook video ads. Is OnPoint 2.0 Scam or legit? This is definitely a legitimate product, with the video footage delivered to you. But how much it can help your business really depends on your current amount and quality of traffic. Without a good amount of traffic already landing on your offers, this will be as useless as many products I have reviewed before, like Commission Shortcut, Commission Hero, and 24/7 Wealth Club. I do not recommend OnPoint 2.0. If you are looking for ways to increase traffic to your offers, the best kind of traffic to work on is free organic traffic. Besides the obvious advantage of being free of charge, it is also the most highly targeted kind of traffic, since these are people actively searching for stuff related to your offers, that is how they found you through the search engines in the first place. It is also this kind of traffic that can be built into a passive income stream, because once you gain the authority in the eyes of the search engines, they will continue to send you free organic traffic, it’s unstoppable. If you have any concerns or questions regarding this OnPoint 2.0 review, do comment below, and we will start a conversation from there. Is Cash Grab by Jamie Lewis a SCAM?